Using evolutionary, cognitive, and social psychology, this volume examines the issues raised by the question, What makes some faces more attractive than others? The authors challenge the views that beauty is simply in the eye of the beholder, that it is idiosyncratic, and that it is nothing more than an artifact of culture. They argue instead that there are a variety of biological, social, motivational, and developmental issues involved in facial attractiveness. 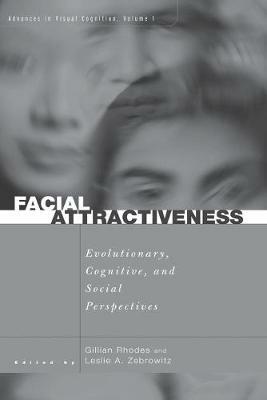 By exploring attractiveness and preference from these various perspectives, this collection offers profound and unique insight on how and why we are attracted to certain facial types, and how that attraction can influence our social interaction. Some of the ideas presented in Facial Attractiveness are surprising, others controversial, and others even paradoxical. Combined, however, they offer a new perspective on age-old questions of attraction, beauty and preference. Each author challenges standard assumptions about beauty, and encourages the reader to explore new trends in evolutionary, social, and cognitive psychology in search of a more coherent answer to the questions of what makes a face attractive and why.